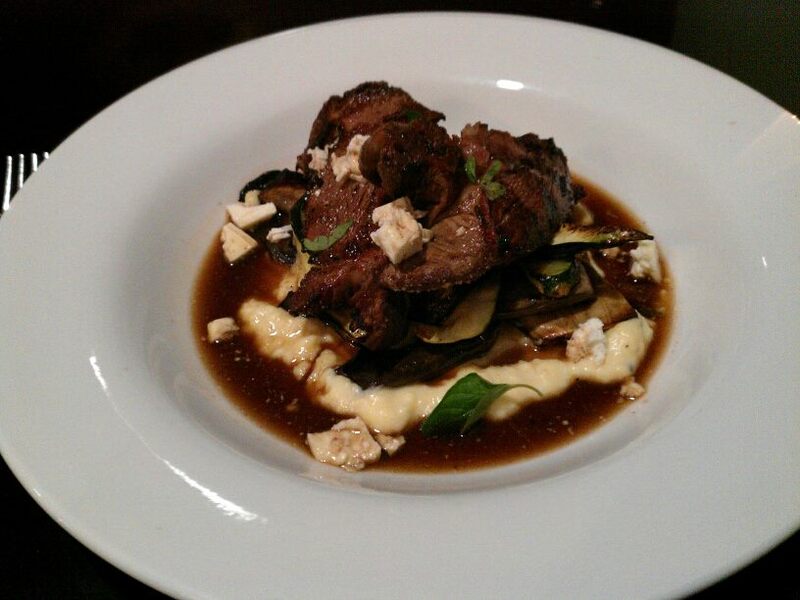 Moroccan Lamb Rump with char-grilled eggplant, zucchini, fetta cheese, oregano. Served with soft polenta & red wine jus. Lamb was perfectly cooked, being crispy on the outside and juicy on the inside. It had a nice zesty taste. The eggplant underneath was full of flavour too. I wasn’t sure that polenta would go well here, but it was a perfect starch for this dish. The tiny amount of fetta got lost in the polenta and didn’t do much here. 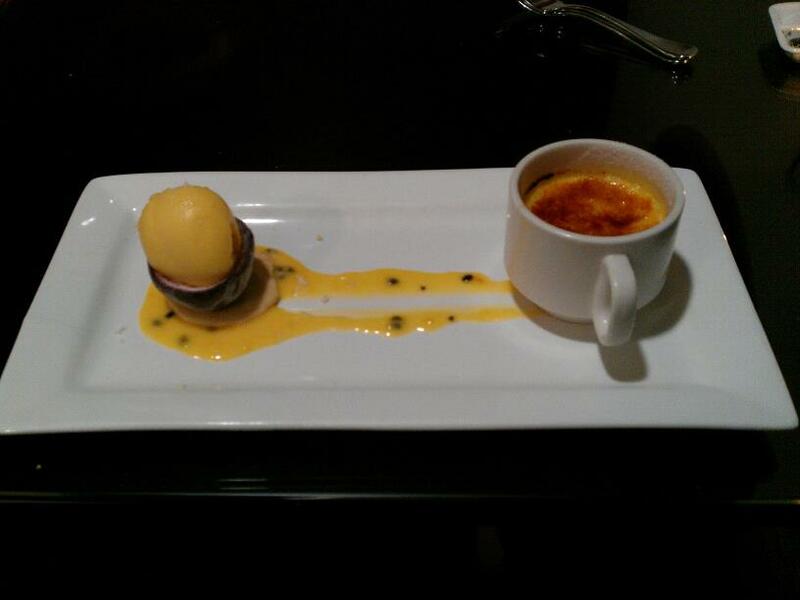 The custardy, passionfruity creme brulee and its sugary crust were very nice. It was smooth and subtly fruity. The dollop of passionfruit and mango gelati was fairly standard, but by the time I’d reached the shortbread biscuit underneath, surrounded by passionfruit sauce, I was tired of passionfruit. It was just fruit. The passion had gone.